Fall is a favorite time of year for many people… and for good reason! The weather gets cooler, the leaves change color, and everything feels just a little bit more cozy than it did just a few months ago in the heat of summer. 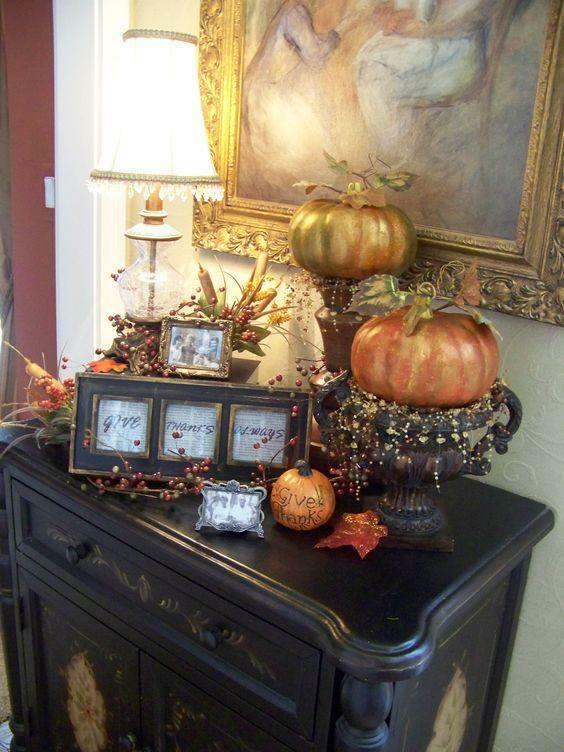 Fall also marks a time when people begin changing out their home decor. Gone are the days of light and bright as we welcome the more earthy-tones of browns, reds, and oranges. 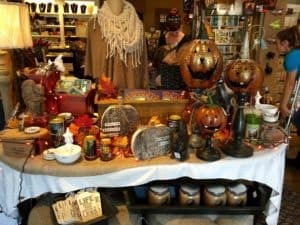 One of the more difficult parts of preparing your home for the new season can be determining how to decorate your tablescape. Tablescapes can go anywhere in the home – including the dining room table, sofa table, entry table, and even a bookcase. Since you’re not limited to just decorating the dining room table, you can use your many different ideas and Pinterest inspirations throughout your home! Choose visible areas: A major point of creating a tablescape is to show it off to guests to make them feel immediately cozy and welcome in your home. The best areas in the home for creating a visible tablescape is often an entry table where family and friends enter your home. Unless you’re hosting a lot of formal dinners, you’ll probably notice that you really don’t use the formal space as much as the entryway, where your tablescape will be much more visible. You may also want to create a tablescape on your family room coffee table or even on the kitchen island, if you spend a lot of time entertaining guests in your kitchen or around the television watching your favorite shows or games. Don’t forget risers: Give your tablescape some depth and variety by using risers. This doesn’t mean you need to go out and purchase actual risers, though! You can use your decor as the riser itself. Stack seasonal decor on top of books for a combo of everyday items and seasonal decor. 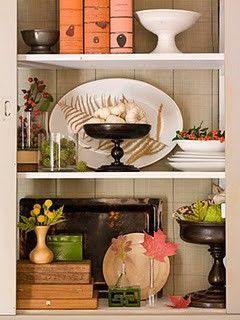 Risers are the secret to success for displaying a variety of items in an artistic way that pleases the eye. Add photos: Just because you’re adding in fall decor to your home doesn’t mean you have to remove photos of family and friends. 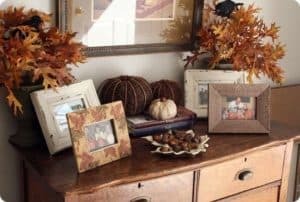 If the frames they’re in don’t really go with the overall theme you’re trying to achieve in your home or a specific room, consider swapping out the photos into different frames. If you don’t have many photos up, then you may want to consider adding photos as part of your tablescape decor plan! At Agricola Redesign and A Village Gift Shop, we love creating tablescapes, especially for fall! 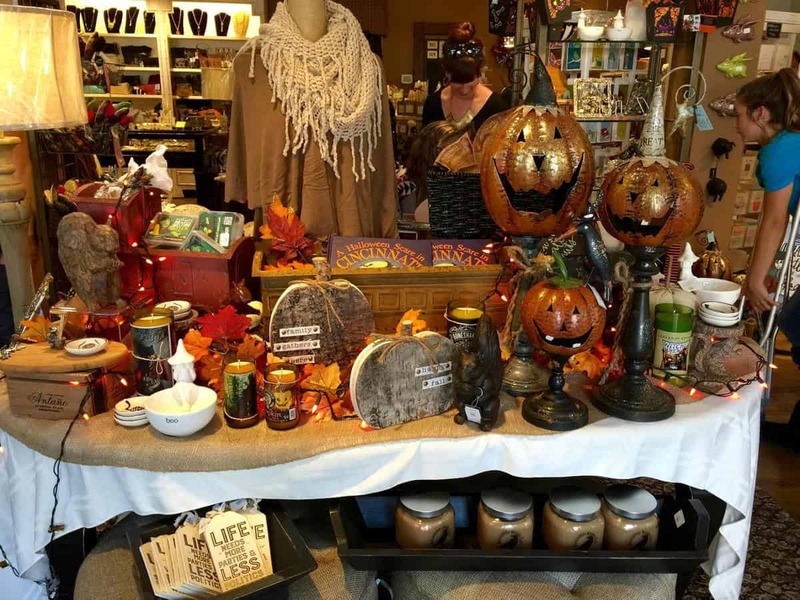 Stop by A Village Gift Shop on historic Glendale Square to find a great selection of candles, vases, frames, and more to make your tablescape a vision that’s become a reality!